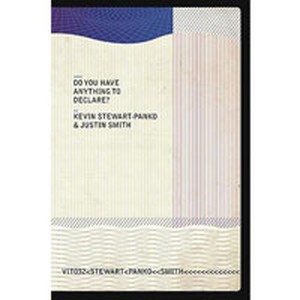 In Do You Have Anything to Declare?, veteran music journalist/borderline hack, Kevin Stewart-Panko and Vitriol Records head honcho/rent-a-guitarist, Justin Smith interview 75 touring bands and musicians about their frustrating, terrifying, hilarious and ridiculous border crossing (mis)adventures. Compiling stories and experiences from the likes of the Dillinger Escape Plan and Fear Factory to Atheist and Zoroaster to old-school road warriors Tomas Lindberg (At the Gates/Disfear/etc. ), Eugene Robinson (Oxbow) and Rich Hoak (Brutal Truth) and many more, Do You Have Anything to Declare? uses first-person accounts to shine a light on the always nail-biting experience of crossing borders around the world while on tour. Also included are the author\'s personal road-dogging recollections, including Smith being arrested in Denmark and Stewart-Panko, theoretically, being denied entry into his own home and native land. Over the course of 260 pages, topics such as drug dogs, touring through the Schengen Zone, draconian America, Eastern European searches, Russian shakedowns and the ongoing confusion and difficulty inherently associated when crossing from the U.S. into Canada are touched upon. Throw in a bit of snarky commentary, contextual context and even a few history lessons in international relations and first-time authors Stewart-Panko and Smith will have you laughing, crying, perplexed and shaking your head, wondering why any band would even bother to try and leave their home country, but grateful that they put up with as much crap as they do in order to bring their music to the people.